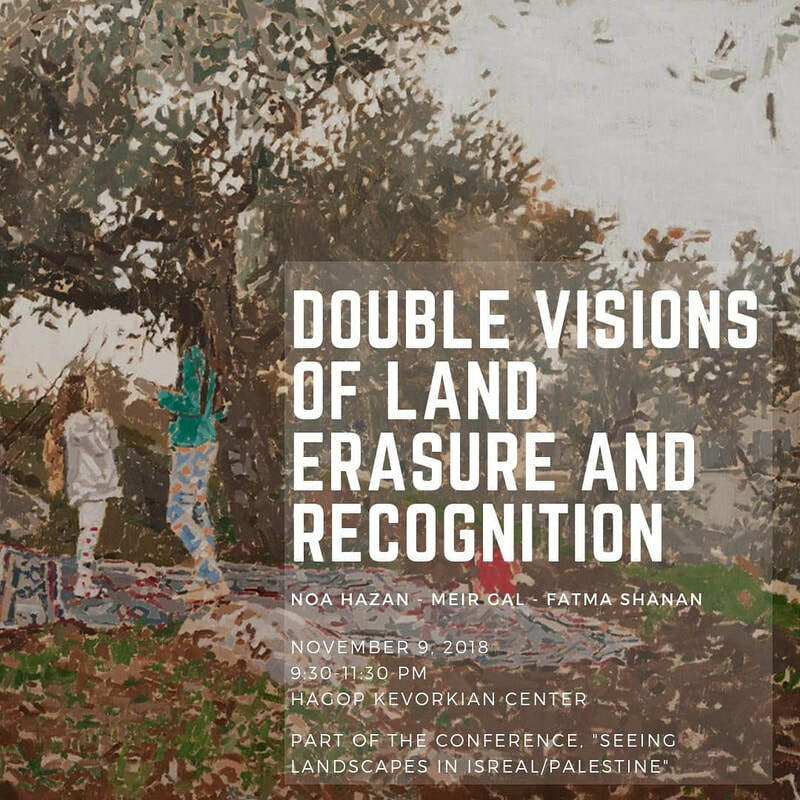 On November 8-9, 2018, I organized a conference that explored landscape as a medium of representation in Israel/Palestine. 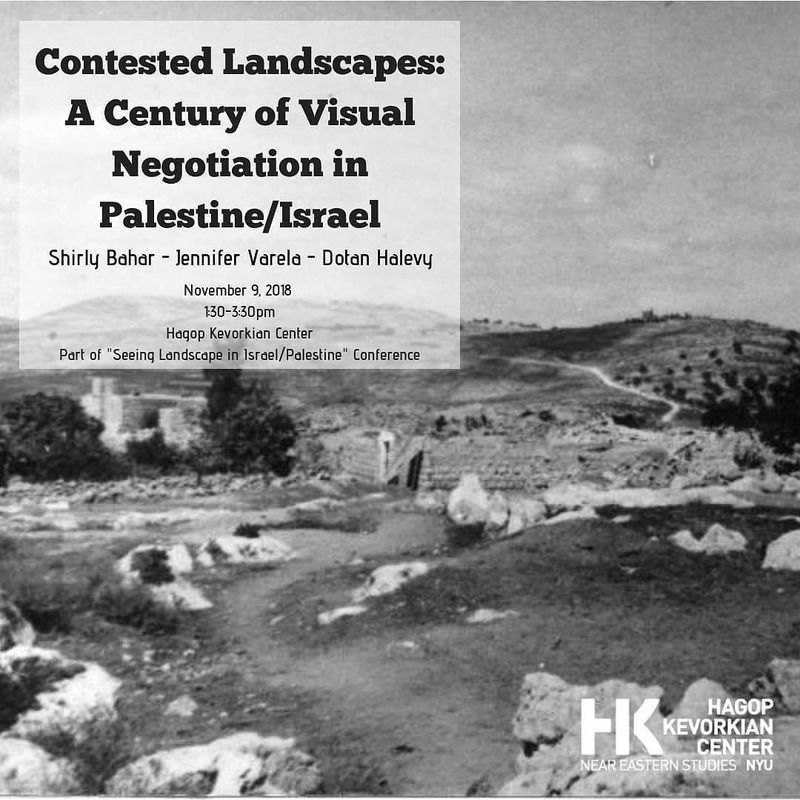 While often thought of as an innocent canvas, landscape serves to naturalize power relations and erase history and legibility. 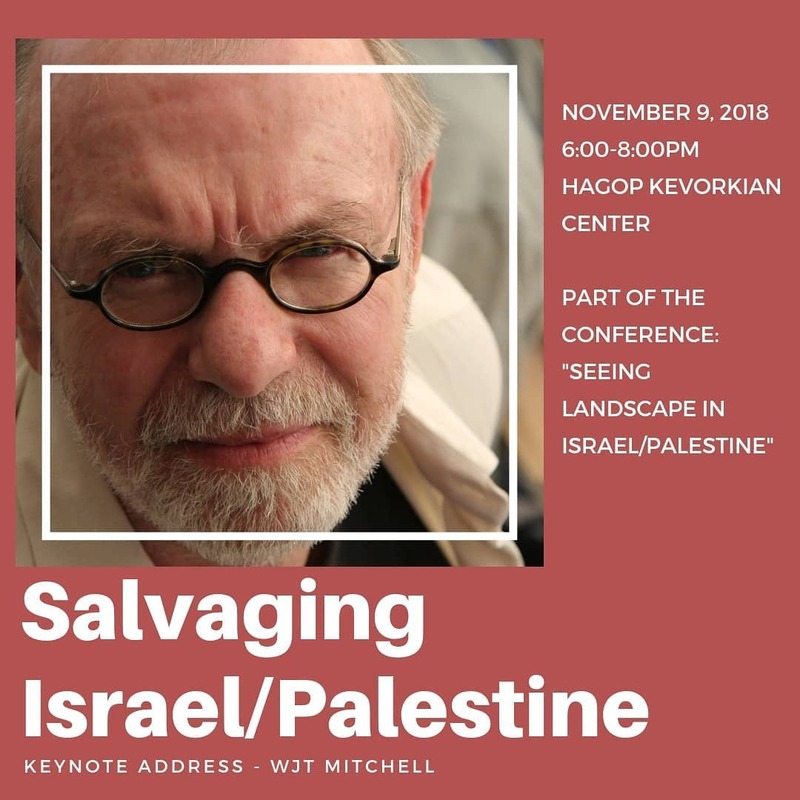 Early Zionist mythology understood this, reflected in the highly gendered celebration of “virgin” land, whose wilderness was waiting to be conquered and fecundated. While such colonial myth-making points to how images, fantasies, and representations of landscape, while often false or superficial, have power to mobilize political passions, this conference went even further to explore landscape as a site of amnesia and erasure. 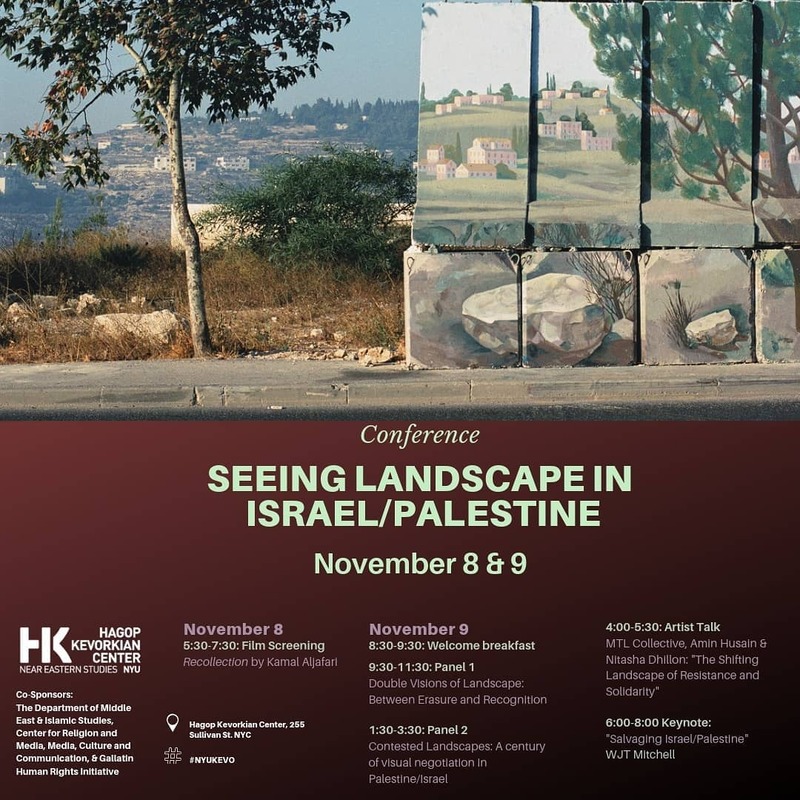 The conference converged artists, academics, and activists to explore how landscape has been shaped, and has actively transmitted a range of meanings—including the production of cultural heritage and memory; militarism and humanitarianism; displacement and diaspora; and notions of the sublime, pastoral and poetic. 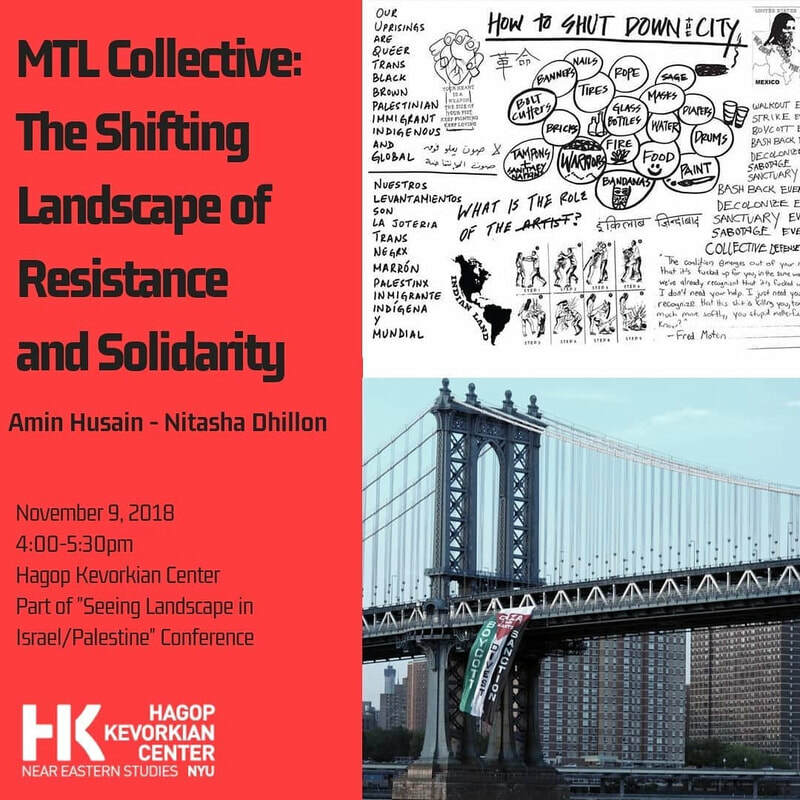 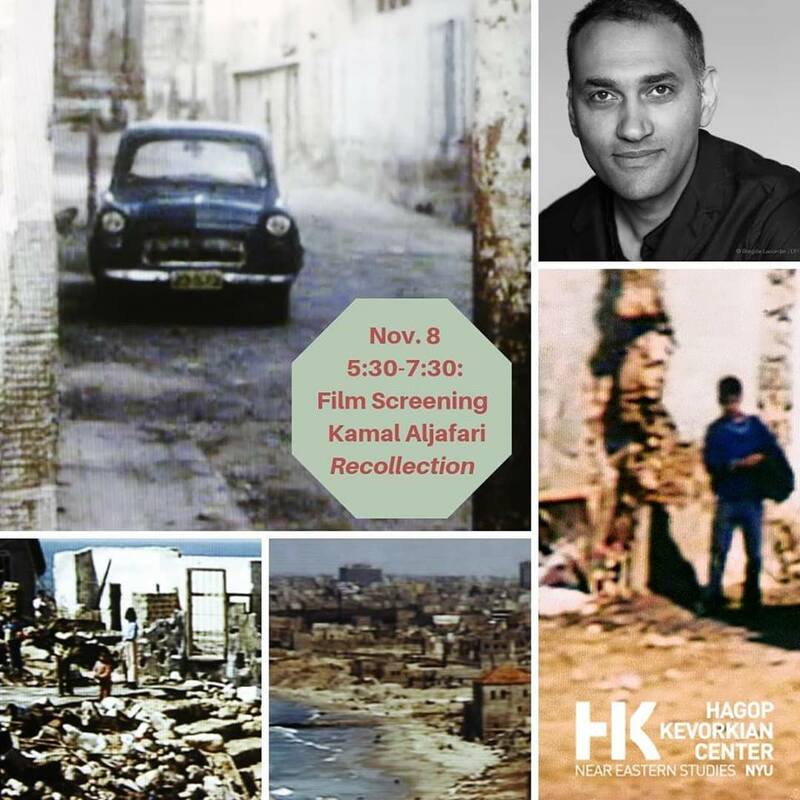 Featured speakers included a film screening of Recollection with director Kamal Aljafari, artist-as-organizer talk with the MTL Collective (Decolonize This Place), and a keynote lecture by WJT Mitchell.